Pittsgrove, NJ, November 20th, 2016 – Tune into the Ike Live Thanksgiving Special this coming Sunday, November 20th 7-10 PM ET for a brand new Ike Live Show live-streaming on IkeLive.com. Mike and the Ike Live crew will give thanks to the anglers and personalities that make the sport of fishing great! Touring pro Mark Daniels Jr. and Youtube fishing pioneer Obidiah Williams join Ike in-studio for the full 3-hour show. 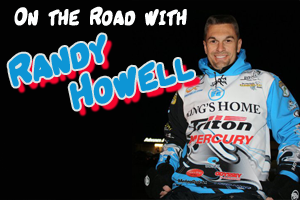 Mark Daniels will talk about his highly successful 2016 season and discuss the reasons behind why he moved from the west coast to the east coast to pursue a full time gig in fishing! In addition, Obidiah Williams will talk about how he used the Youtube platform to get thousands of new fishermen into the sport. Finally past Bassmaster Classic Champion and multiple AOY winner Davy Hite will join the show via Skype to talk about his amazing career and why he decided to retire. Live viewers will have a chance to ask questions to the guests and will have the opportunity to win great prizes from Mystery Tackle Box, Flambeau Outdoors, TH Marine, Tackle Warehouse and many more! This show, along with all other previous shows, are available the next day for download to a PC, tablet or smartphone at IkeLive.com. Audio of the show is available for free on both iTunes and Stitcher. And the “best of shows” are now available for viewing on Bassmaster.com. To subscribe to automatic downloads, enter TinyURL.com/IkeLiveiTunes into your browser, click “View in iTunes” and choose iTunes as your application. Click “Subscribe” and new shows appear in your iTunes library automatically as they become available. Ike Live! 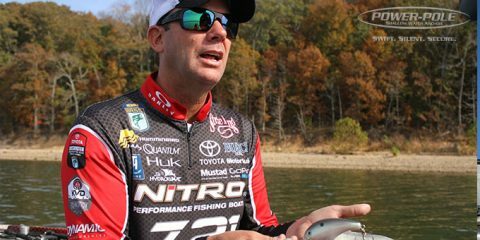 fans receive email reminders for the show when they join the Ike’s Fish Heads Nation at MikeIaconelli.com , and they can opt-in to receive the monthly newsletter, links to videos and periodic discount offers. Clips of the show are available on YouTube at Going Ike and via YouTube subscription. A South Philadelphia native now living in South Jersey, Mike Iaconelli fell in love with fishing at his grandfather’s side in the Pocono Mountains of Pennsylvania. He began fishing in tournaments after high school, joined the pro-am circuit in 1992 and turned pro in 2000. 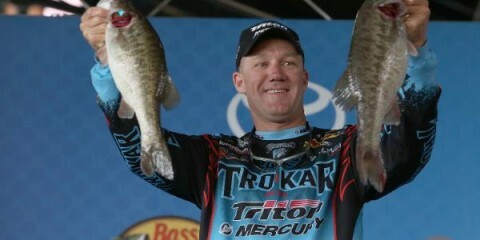 In 2003, he won the Bassmaster Classic. He is the only angler to win the Bassmaster Classic, Bassmaster Angler of the Year and B.A.S.S. Nation Championship. He and wife Becky run The Ike Foundation®, which provides fishing equipment to community associations and youth fishing clubs to “get kids fishing.” In addition, he and fellow fishing champ Pete Gluszek run The Bass University, which offers intense 2-day fishing classes and on-the-water experiences that bring avid amateurs and professional fishermen together.